Youtube user FluffeeTalks has realized that people have forgotten exactly how the phrase "no offense, but...." because usually, it ends with someone getting offended, so he's going to set the record straight in this hilarious video. 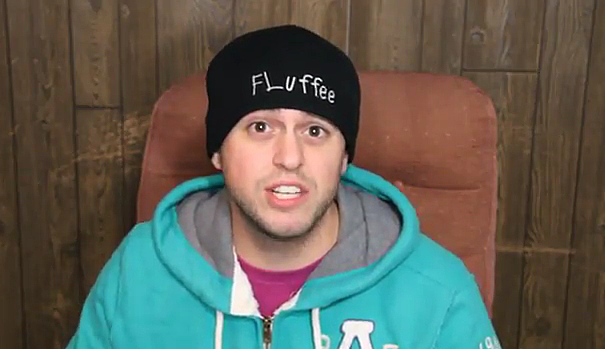 FluffeeTalks got his popularity on Youtube by using his comedy to tell weird news stories. Like this one where he talks about a guy who has 13 wives, 17 kids, and no job, or this one where he talks about a guy that killed a guy because he thought he was a zombie. He takes the craziest news stories, and makes them hilarious. I've been watching his videos for years. In this video, he goes on a tangent about using the phrase "No Offense, but..." Which is usually followed with something that's going to offend you. Just recently I heard the phrase "No offense, but I like the way your hair was before you colored it red" I was just like well that's a little offensive, good thing I don't give a sh*t about your opinion! But really, we've all been there when someone has offended us, but it's instantly okay, because they didn't actually mean to offend us, I mean they did say "no offense, but..." right? Check out the video below and let FluffeeTalks teach you the proper use of the phrase, so you don't catch yourself offending people left and right.